Off-duty and former military personnel are helping to save lives in Lincolnshire by volunteering as Community First Responders. 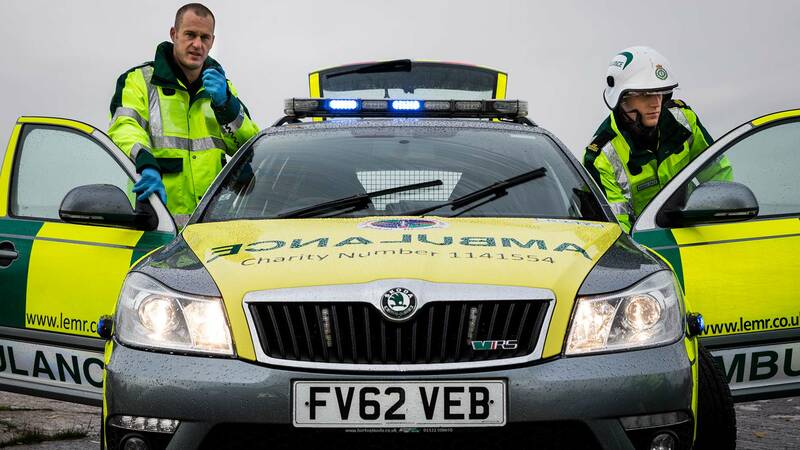 The small team of volunteers help the East Midlands Ambulance Service (EMAS) cut down the amount of time it takes to respond to 999 calls in rural areas, saving lives and preventing disability in the process. In Lincolnshire there are two fully marked up ambulance service rapid response vehicles (RRVs). The RRVs are crewed by military personnel from RAF Coningsby, Cranwell, Digby, Waddington and Scampton. 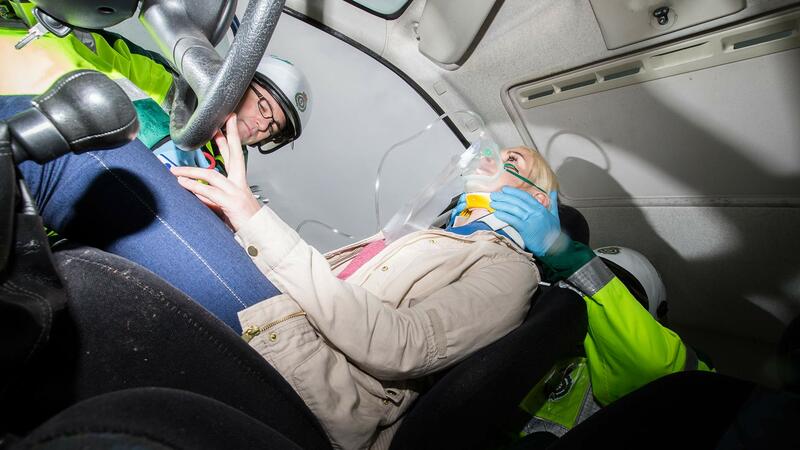 The volunteers recently carried out some vital Road Traffic Collision training at RAF Coningsby. 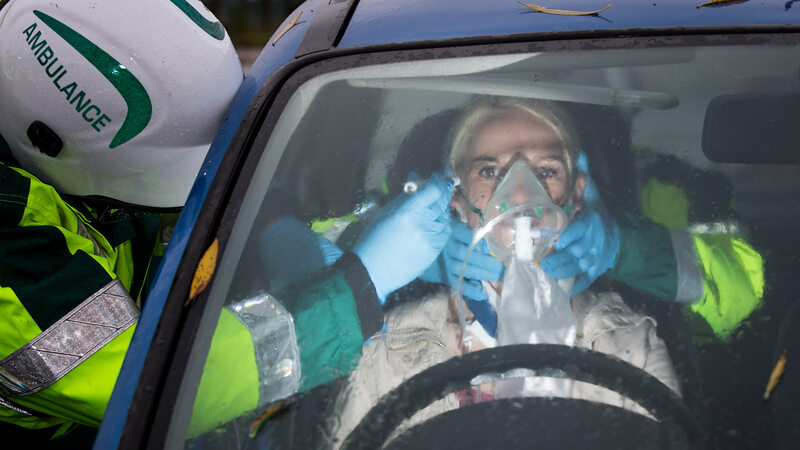 Corporal Vicky Brown, who performed the role of a casualty in the exercise, said: “I work in the IT Projects office and have been volunteering with the Lincolnshire Emergency Medical Response (LEMR) scheme since August. 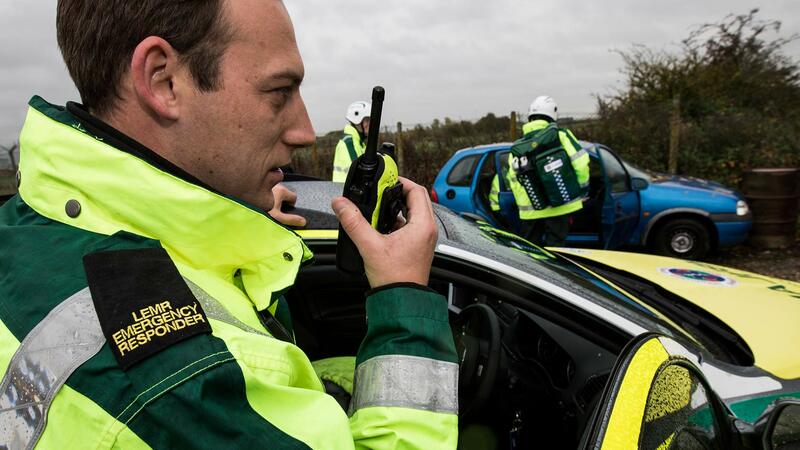 The on-call community first responder is dispatched by EMAS to areas of high volume calls or low ambulance coverage to reduce response times. 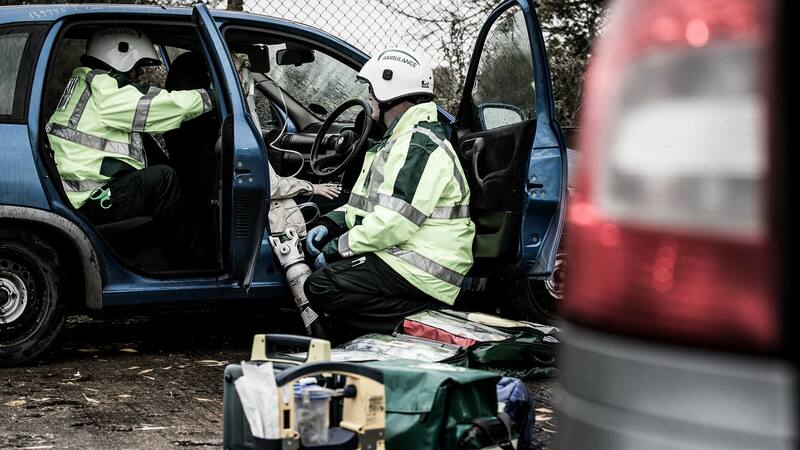 The volunteers work alongside other first responder schemes, including St John’s Ambulance, Red Cross, Royal Lifesavers, Lincolnshire Integrated Voluntary Emergency Service (LIVES), Lincolnshire Emergency Medical Response and Fire and Rescue Co-responders. Sergeant Charlie Heron, employed in the Typhoon Project Team at RAF Coningsby, has been volunteering with LEMR since January this year and qualified as a clinical responder in August. He said: “In my 18 years of RAF service I have never found anything as rewarding, or addictive, as being a member of LEMR. “We have a great sense of compassion and camaraderie and integrate well with EMAS, working alongside our paramedic colleagues as well as with the police and Lincolnshire Fire and Rescue Service depending on the nature of the job. Corporal Kai Donnelly, an avionics technician, said: “I joined the scheme because I wanted to do more with my spare time and helping people in need appealed to me. Sergeant Phil Robinson, from the Communications and Information Systems Squadron, said: “I enjoy all jobs whether it is helping an elderly patient after a fall or dealing with life threatening emergency calls. The scheme is managed by Operations Manager, Flight Sergeant Matt Bailey. He said: “LEMR has now been assisting EMAS with whom we have a great working relationship across Lincolnshire for 15 years.